Mistking misting systems are renowned for their high quality and impeccable reliability making them a popular choice for Zoos, private hobbyists and botanical gardens around the world. Perfect for Amphibians, Chameleons and Bio-active planted enclosures. The 4th generation of the Mistking provides exceptional performance with a robust pump and improved seconds timer to ensure reliable misting when it is needed. Being a modular system allows for further customisation offering a flexible approach to a hobbyists growing collection. The 4th generation Advanced Misting System comes with a large capacity diaphragm pump powering a 3/8" system and offering significantly more power than the starter and ultimate systems. Features an impressive pump capable of pressures up to 125psi and can support up to 70+ nozzles that can run continuously for hours at a time, EVEN DRY! These pumps are manufactured specifically for MistKing. 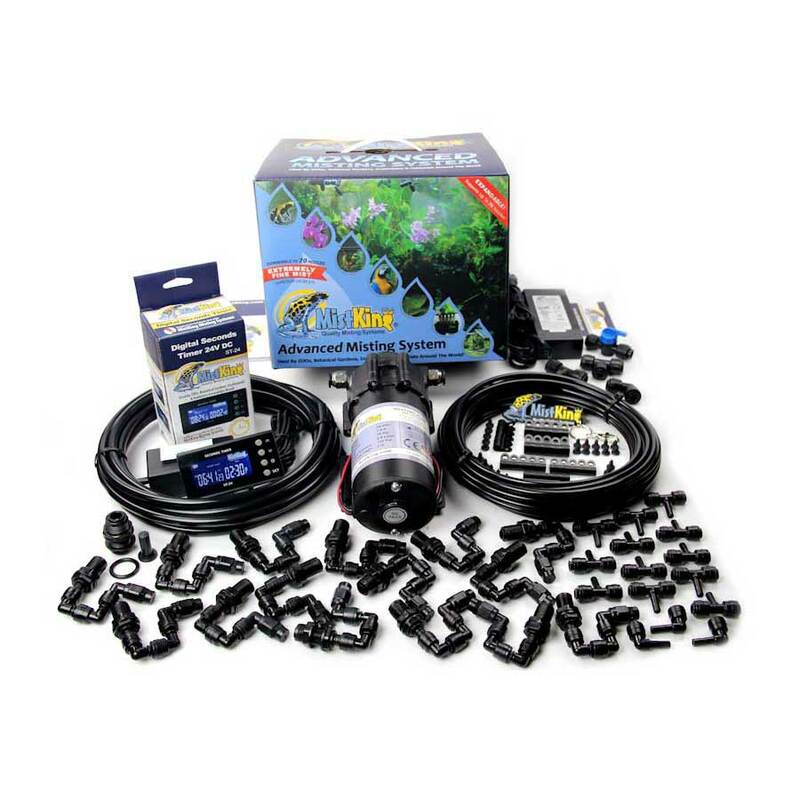 Comes with 10 fine misting nozzles, seconds timer and much more.